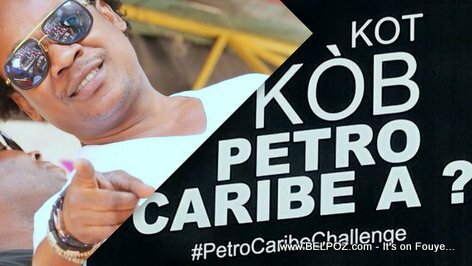 Listen to this AUDIO... Haitian Senator ask everyone who is corrupted and hiding behind the PetroCaribe challenge movement to stop using the little people for their own benefit. The average person in Haiti don't even know what PetroCaribe means, Senator Garcia Delva said, and a group who stole all of the country's money, all of the PetoCaribe's money, they are the ones who are dragging the people into the streets. Senate Garcia Delva asked them to stop, giving the country a chance. Senator Garcia Delva delivered this message one day after hundreds of thousands of people too to the streets asking for the people who dilapidated the PetroCaribe money to be held accountable. Politicians who oppose president Jovenel Moise used that day to ask the president to step down, claiming those who are guilty of the embezzlement of the PetroCaribe money will not be prosecuted while Jovenel is still president.